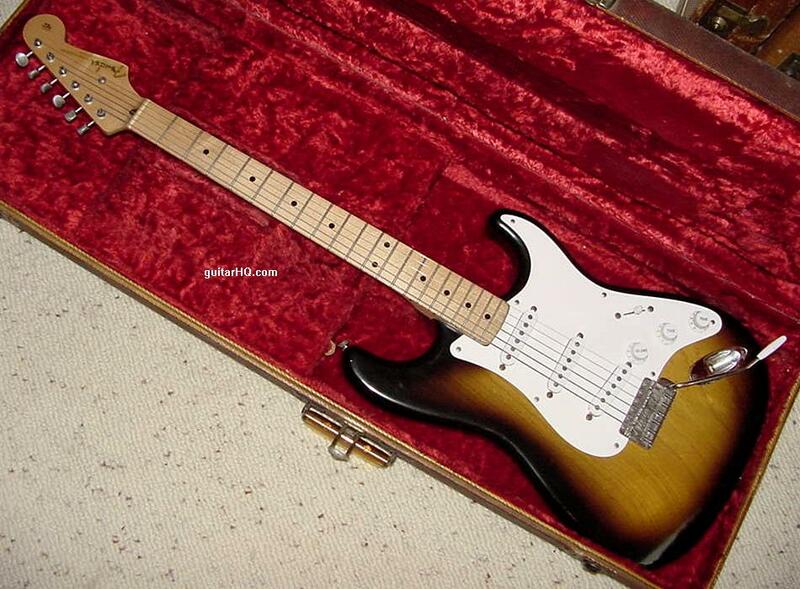 The 1955 Fender Stratocaster is one of my favorite years. 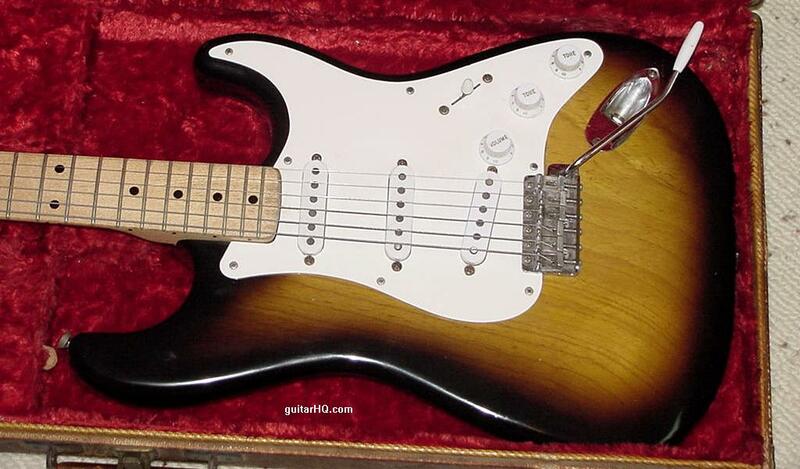 Though nearly identical to a production (October-December) 1954 Strat, the 1955 model is slightly more refined. 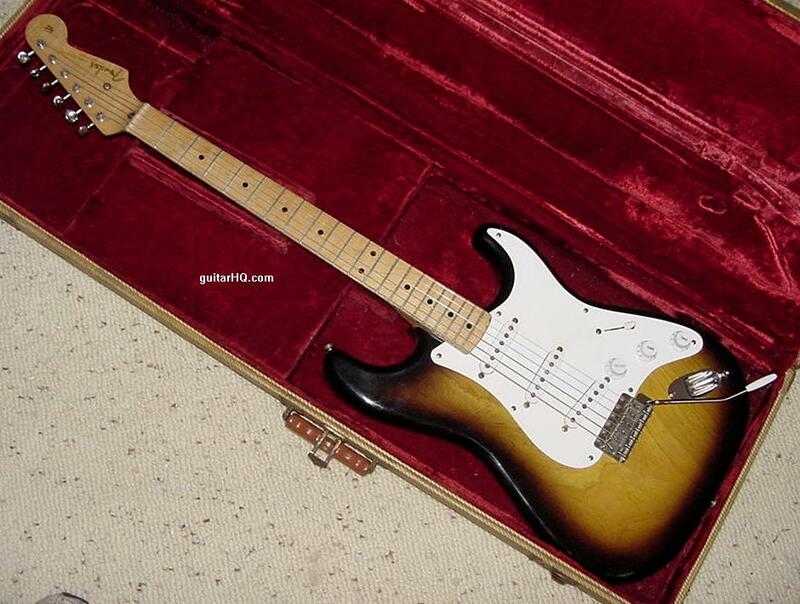 The production process was better, and 1955 models tend to be much lighter weight (more comfortable to play) than 1954 Strats. 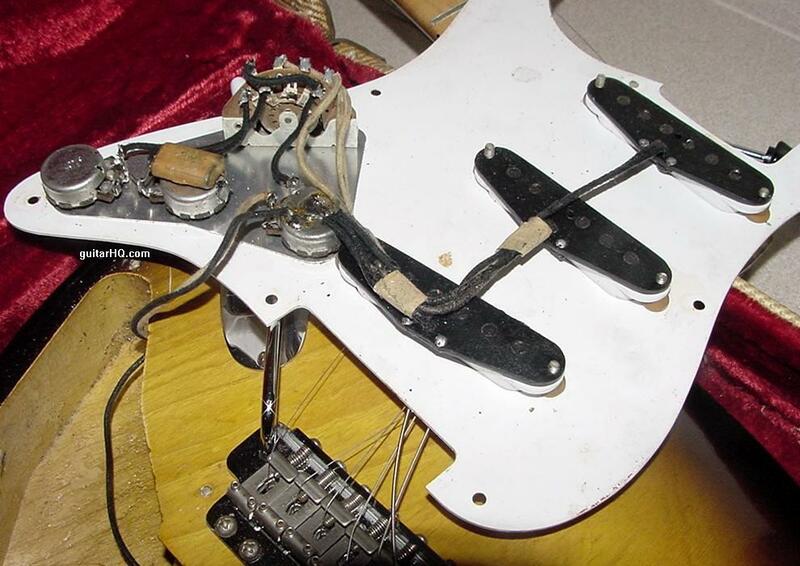 See the previous year's 1954 Fender Stratocaster guitar. 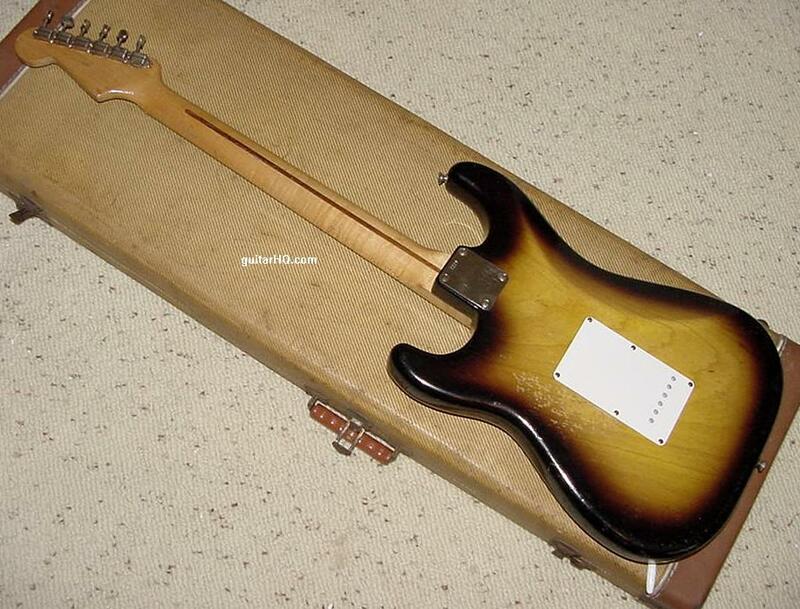 See the next year's 1956 Fender Stratocaster guitar. 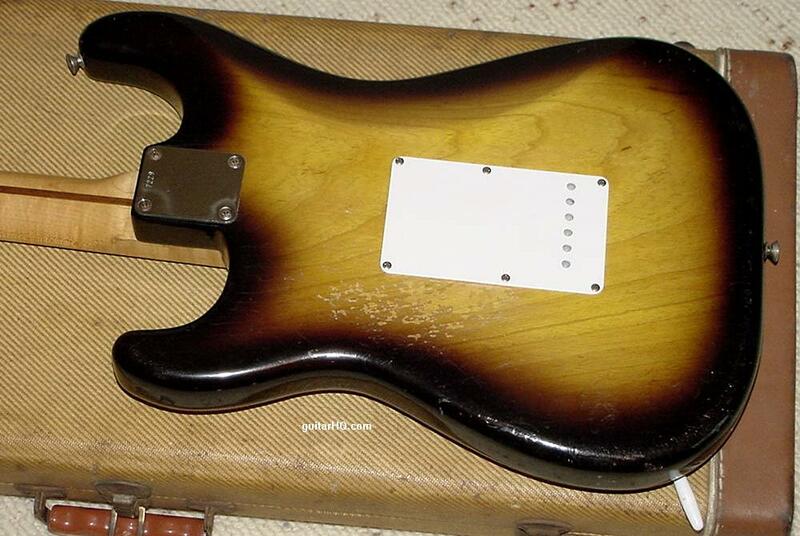 Peghead edges are less rounded, and more sharp. 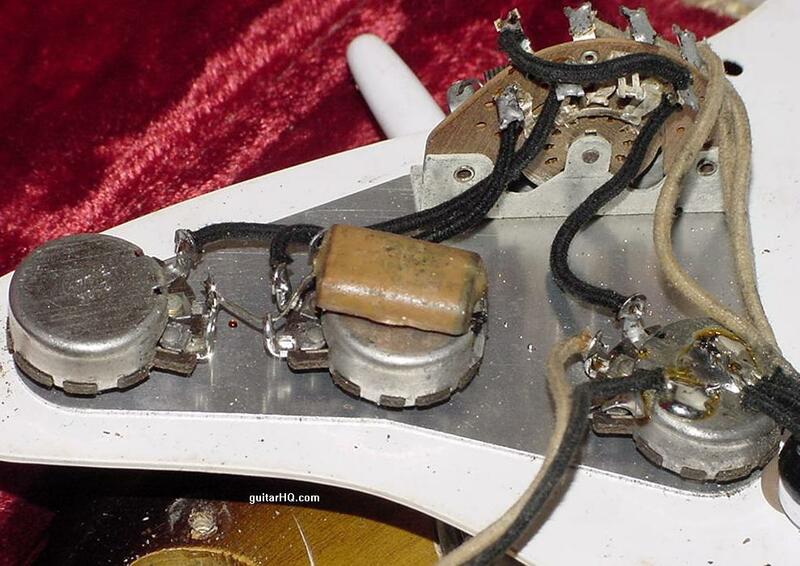 By mid-1955, the round string holes in the rear tremolo cover are changed to oblong holes. 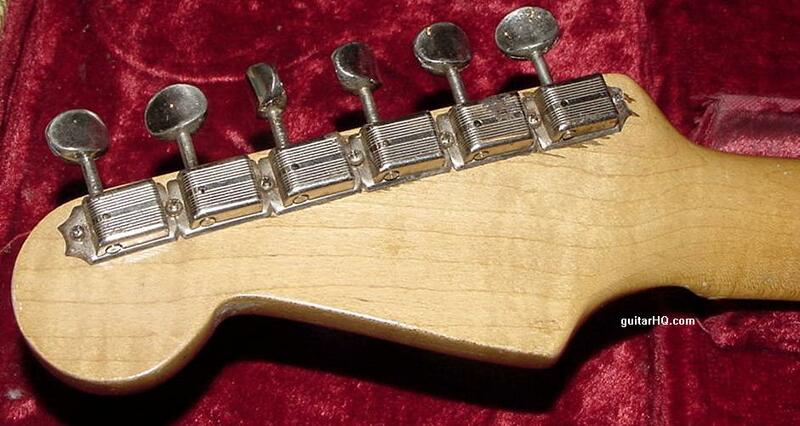 Tremolo block has more squared sides. 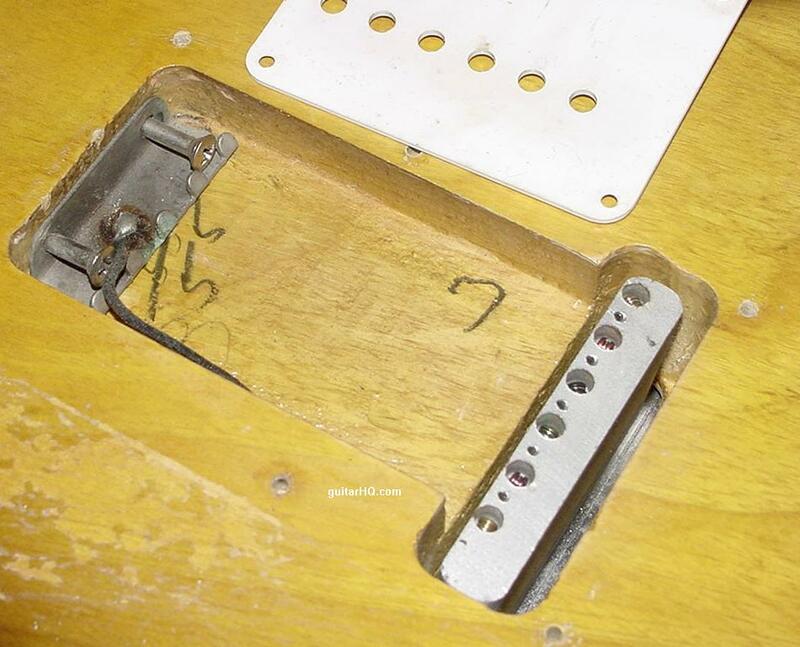 Front edge of bridge saddles (closest to the nut) are longer. 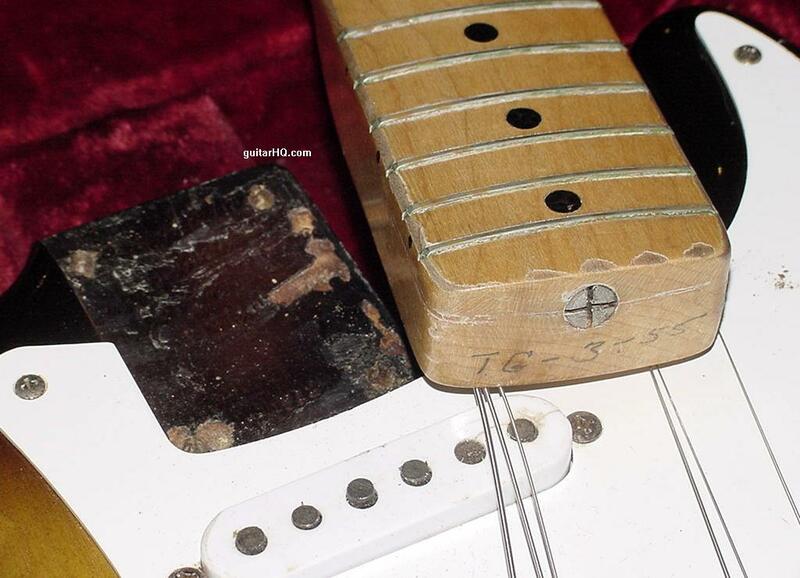 Bobby Lee strap pad is banana shaped. 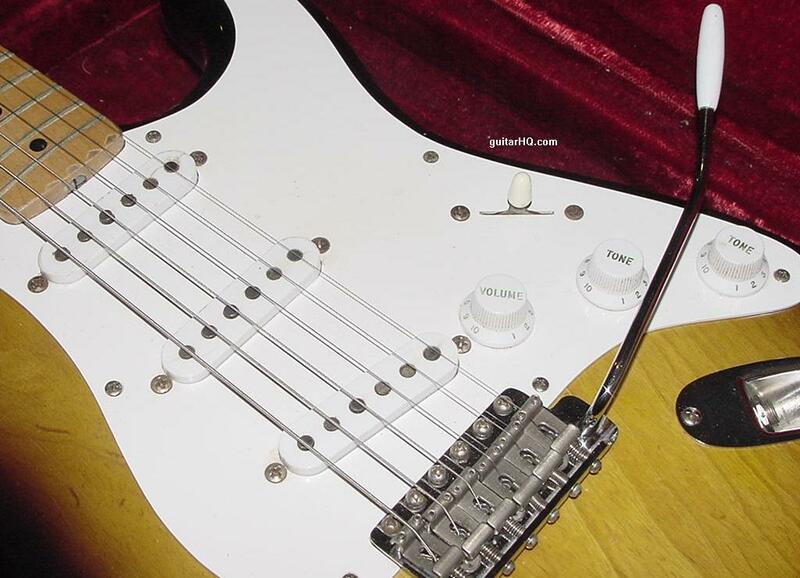 Tremolo bar's bends are less pronounced. 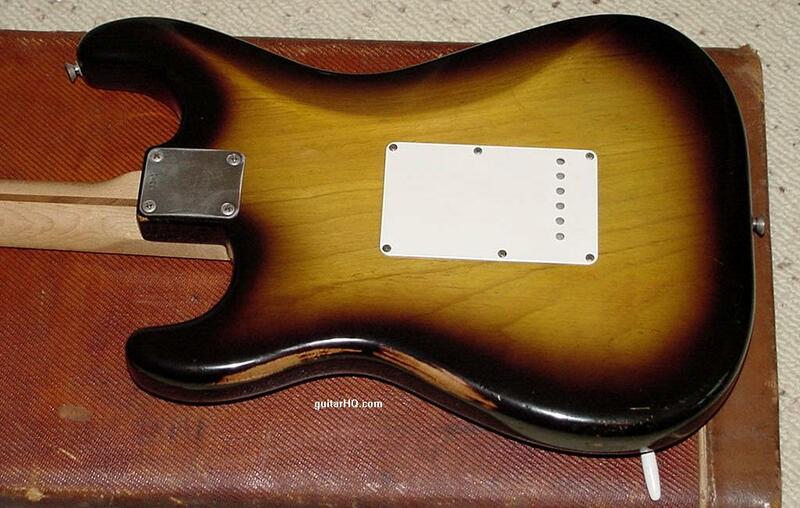 White pickguard now has a shiney backside. 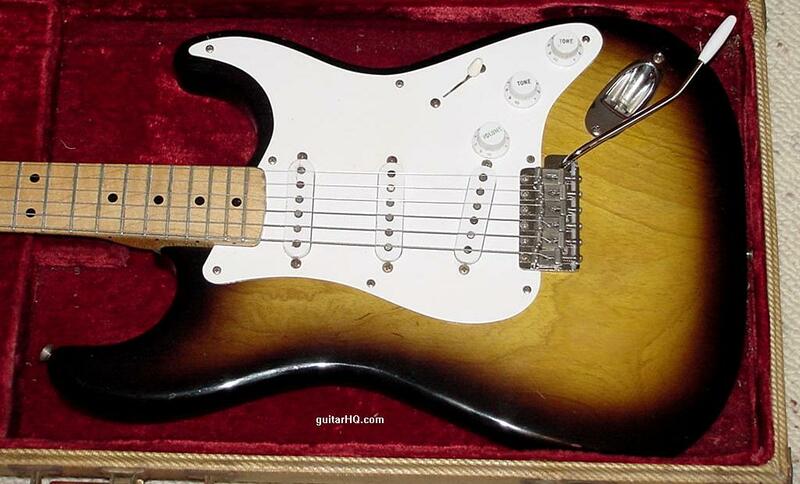 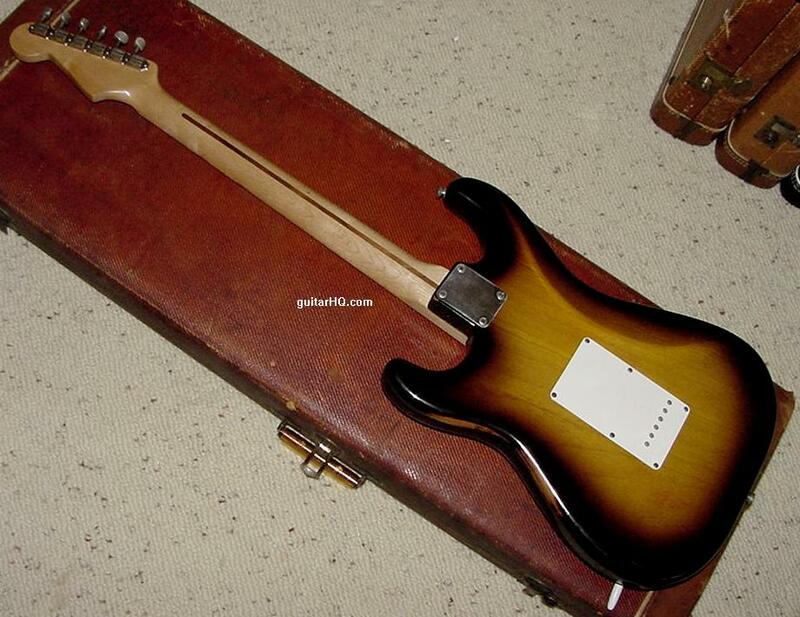 A 1955 Fender Strat (body and neck dates 3-55), original center pocket tweed case. 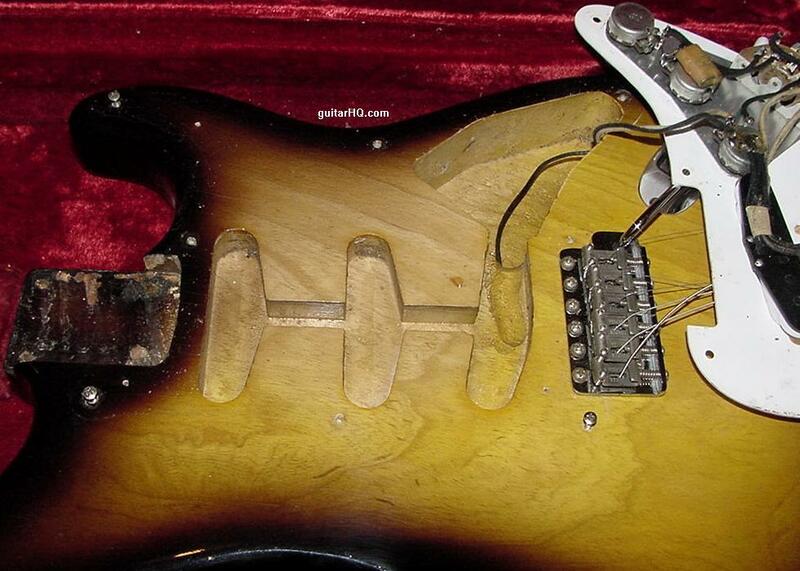 The body's month is obscured by the tremolo claw, but it is also 3-55. 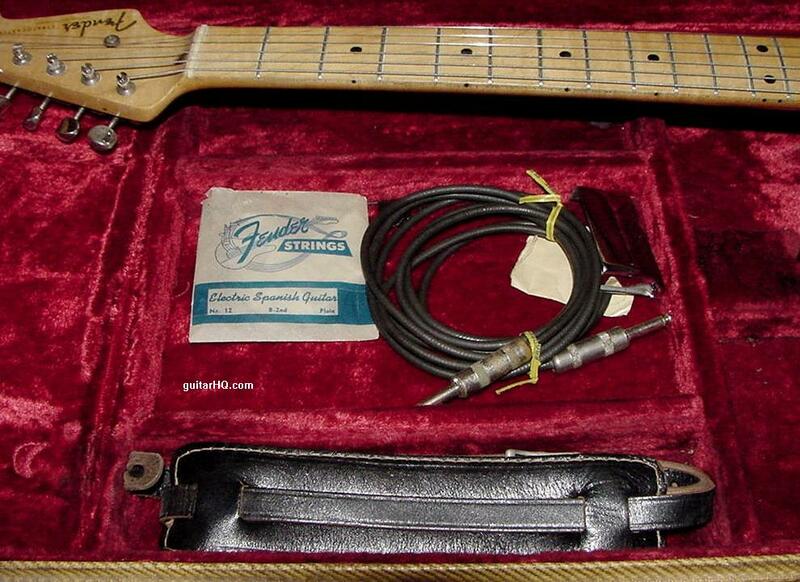 Another 1955 Fender Strat, original center pocket tweed case.